Chop one vanilla bean into the goat’s milk powder, shake to distribute well, cap and leave to infuse for several weeks. You will then have a delicious vanilla scented goat’s milk powder to use in bath. 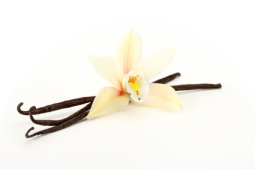 For an even more luxurious bath milk, add 6 – 8 drops of vanilla essential or fragrant oil. Add to bath and soak for at least ½ hour to allow for best absorption of goat’s milk properties.